Years ago I was riding in Fruita and I ran into my friend and fellow adventure racer Billy Mattison riding solo on the Kokopelli Trail. 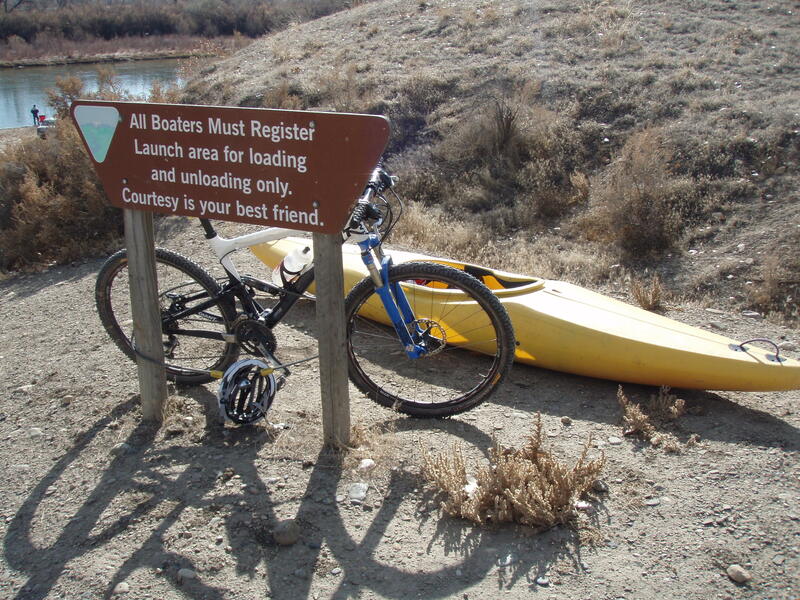 He had started his ride a few hours earlier at the Colorado River boat ramp at Westwater, UT. His plan was to finish his ride at the Loma put-in, get in the kayak he had stashed there and then paddle back to Westwater. This was one of Billy’s favorite training routes and I’ve wanted to try it ever since. Yesterday was my day. I headed out early Sunday morning, dropped my kayak, life jacket and some food at the Loma boat ramp and then continued driving to Westwater. When I got on my bike at 8:30 a.m it was just 22 degrees so I rode hard to try and warm up. The ride started with a few miles of pavement before turning onto some great rocky jeep road through spectacular desert sage and juniper. After about 10 or so miles the trail dropped into the Rabbit Valley area, which I’ve ridden many times. It was nice to be in familiar territory since I hadn’t seen a soul in over an hour of riding. After a somewhat boring section of buffed dirt road, I dropped into Salt Creek. Salt Creek is burly singletrack – definietly a few miles of hike-a-bike if you’re headed in the opposite direction. After some more great riding on the Troy Built loop I jumped on the final dirt road down to the river. All in all, it was about 40 miles of riding, which took me 3:45 to complete. 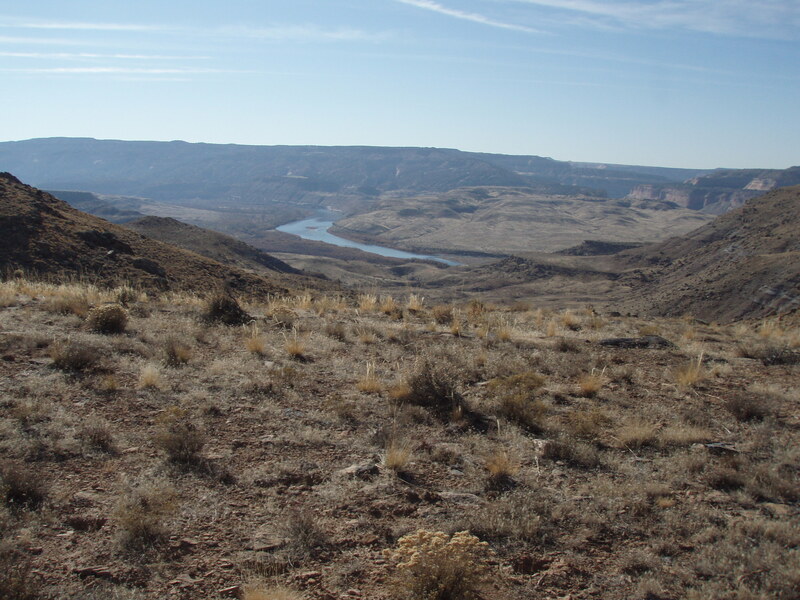 At the Loma boat ramp, I ate some food, locked my bike, changed into paddling gear and then got started on the 25-mile Ruby-Horsethief section of the Colorado River back to Westwater. I paddled this stretch about three years ago but it was completely in the dark and it took almost 5 hours. This time I got to enjoy the spectacular scenery and watch the mountain bikers ride above the canyon walls on Rustler’s Loop and Horsethief Bench above me. The paddling went by much faster than I expected, just 4 hours this time, which means one of two things: I am in much better paddling shape now or I paddled in circles in the dark the last time. Anyway, it was great day of training and I’m looking forward to more days like it with my teammates in Moab this weekend. enjoy the desert! have fun training with the team and take it to ’em in abu dhabi! oh, and eat lots of turkey!